We're proud to live in the Surf Capital of Canada. 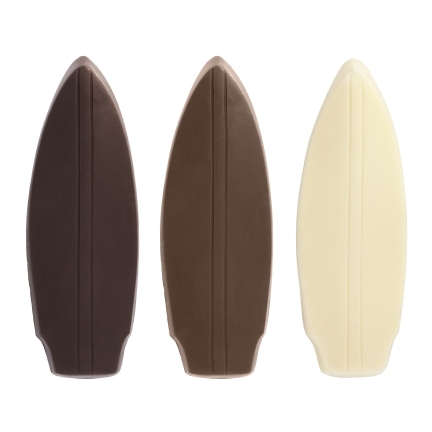 Each Chocolate Surfboard measures 5 ½" and weighs 75g. Surfboards come wrapped in cellophane with a gold Chocolate Tofino decal and are tied with ribbon. Available in Milk or Dark Chocolate.